Download "3M HEAD PROTECTION. For more information, please visit www.3m.com/h-700 HARD HATS 101 MANUAL"
1 For more information, please visit 3M OCCUPATIONAL HEALTH AND ENVIRONMENTAL SAFETY WARNING! 3M Hard Hats provide limited protection only. Misuse or failure to follow warnings and User Instructions may result in serious personal injury or death. For proper use, see supervisor, User Instructions, or call 3M Occupational Health and Environmental Safety Division (OH&ESD) Technical Assistance. 3M HEAD PROTECTION Occupational Health and Environmental Safety Division 3M Center, Building 235-2W-70 St. Paul, MN Sales Assistance: Technical Assistance: Website: 3M All rights reserved Please recycle. Printed in USA. 2 PAGE 2 PAGE 11 This document provides basic information on hard hat use, testing and standards compliance. In all cases a risk/hazard assessment should be carried out and use limitations considered to ascertain the protection required. The main function and purpose for wearing a protective hard hat is to: 1. 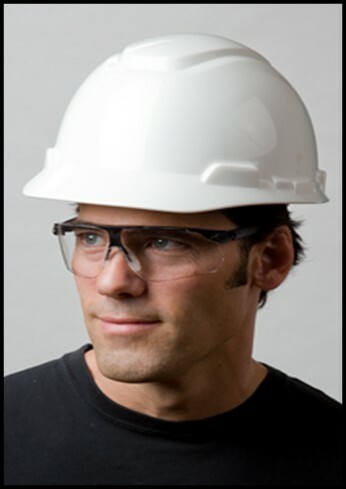 Help protect workers from head trauma due to small objects falling from above 2. Help prevent force from transmitting down the spine if an impact from above occurs 3. Help protect from low level electrical shock (Applies only to hard hats that meet ANSI/ISEA Z Type I, Class G and E.) How does the hard hat protect workers from each hazard? Hazard Head trauma from small falling objects Provides Protection Hard outer shell usually made from HDPE (High-Density Polyethylene), ABS (Acrylonitrile Butadiene Styrene) or other Thermoplastic material. Inspect your hard hat shell and suspension frequently. Check for cracks, frayed straps and any sign of damage before every use. Replace the hard hat immediately if you notice any signs of wear, damage, abuse or degradation. If the hard hat has sustained an impact, dispose of it immediately, even if damage is not visible. Prolonged exposure to direct sunlight will degrade the hard hat shell. Do not store in direct sunlight when not in use. Do not use paints, solvents, chemicals, adhesives, gasoline or like substances on this hard hat. These materials can cause deterioration to the shell s ability to withstand impact and penetration. Do not store objects between the suspension and the shell of a hard hat. Force transmission down the spine from impact Inner suspension that is attached to the shell reduces forces that would otherwise be transmitted to the head and spine. Low level electrical shock Hard outer shell. The homogeneous material insulates against low level electrical shock. Not all hard hats provide electrical protection. Always review the hard hat user instructions and warnings to evaluate electrical protection. 4 PAGE 4 PAGE 9 ANSI/ISEA Z Test Guidelines Total number of hats for protocol: 30 All testing shall be performed at room temperature (73.4 F, 23 C) Hot test samples shall be placed in forced air circulating oven maintained at 120 F (48.4 C) for at least two hours Cold test samples shall be placed in an environmental chamber maintained at 0 F (17.7 C) for at least two hours Low Temp test samples shall be placed in an environmental chamber maintained at a temperature of -22 F (-30 C) for at least four hours Test Compliance to the ANSI/ISEA Z89.1 Force Transmission Apex Penetration Flammability Standard means Helmets shall not transmit a force to the test head form that exceeds 4450 N (1000 lbs). Maximum transmitted force of each individual test sample shall be averaged. The averaged values shall not exceed 3780 N (850 lbs). The penetrator shall not make contact with the top of the head form. No flame shall be visible 5 seconds after removal of the test flame. What factors can damage a hard hat? All of the following: Impact to the hard hat UV exposure Chemical exposure Abuse How often should a hard hat be replaced? Under any of the following circumstances: Immediately if a blow to the hard hat occurs. Shell (Recommended to replace every 2 5 years dependant on environment and use) Suspension (Recommended to replace at least every 12 months dependant on environment and use) Class C Class G (Electrical) Class E (Electrical) Class C helmets are not tested for electrical insulation. Shall withstand 2200 volts (root mean square), AC, 60 Hertz, for 1 minute. Leakage shall not exceed 3 milliamperes. Must first pass the Force Transmission Test. Shall withstand 20,000 volts (root mean square), AC, 60 Hertz, for 3 minutes. Leakage shall not exceed 9 milliamperes. At 30,000 volts, the test sample shall not burn through. There is currently no official standard or regulatory requirement for replacing a hard hat or suspension only recommendations. 6 PAGE 6 PAGE 7 Optional ANSI Testing Requirements Optional Testing Requirements for ANSI/ISEA Z Requirement Reverse Wearing Low Temperature High Visibility Test Pass the force transmission test when mounted in the reveres position on the test head form. Test samples placed in environmental chamber maintained at -22 F (-30 C) for at least four hours and then tested to the impact and penetration test requirements. Hard hat demonstrates chromaticity that lies within one of the areas defined within Table 1 of the ANSI/ISEA Z standard. (Fluorescent yellow-green, Fluorescent orange-red, Fluorescent red). Replacement Recommendations Warning Label LT HV Hard Hat Inspection A hard hat shell should be inspected prior to each use. 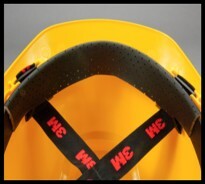 Immediately replace the hard hat if any sign of wear appears or if there is any evidence of damage, abuse or plastic degradation as this may be a sign that protection is reduced. Any hard hat that shows signs of worn or damaged parts should be removed from service immediately and replaced. Workers in environments with higher levels of exposure to sunlight, heat, cold or chemicals should replace their hard hats more frequently than workers in other environments. If the hard hat shell becomes faded in color, exhibits a chalky appearance, or feels stiff and brittle, degradation of the shell may be occurring. A hard hat should be replaced immediately at the first sign of any of these conditions. Hard hat suspensions should also be inspected closely for cracks, frayed straps or other signs of wear. Any suspension that is damaged must be removed from service and replaced immediately. It is recommended to replace the entire suspension system at least every 12 months. Hard hat should be immediately replaced if subjected to impact. 3M recommends the wearer replace the hard hat suspension at least every twelve months and the hard hat shell at least every two to five years depending on work environment. Inspect the hard hat, including the suspension and shell, prior to each use. Replace at first sign of wear. Refer to user instructions for proper installation and replacement of the suspension. FIRE SERVICE USE OF HIGH VISIBILITY APPAREL. 1. Why is there a lot of current attention to fire fighter use of high visibility vests? CABLE 101. The Basics of Wire & Cable. Copyright 2007, Belden Inc. Emergency Response. Prepared for Fire Service, Law Enforcement, Emergency Medical, and Professional Towing Personnel by American Honda Motor Co., Inc. Details of the instrument calibration are maintained in laboratory records. Types of electrical injuries Electrical injury is a term for all injuries caused by contact with electrical energy. Electrical contact can cause a wide variety of injuries involving most organ systems.